While in Libya the battle on the outskirts of Tripoli has regained strength and the troops of General Khalifa Haftar have also occupied the area of the former international airport of the capital, getting closer and closer to the city center, in Europe the French government has decided to block a EU (European Union) declaration project to ask Haftar to stop. The Paris stop came precisely because it was explicitly named the general who was accused -according to some rumors- of "endangering the civilian population, damaging the political process and threatening to create a new military escalation in Libya and the entire region". 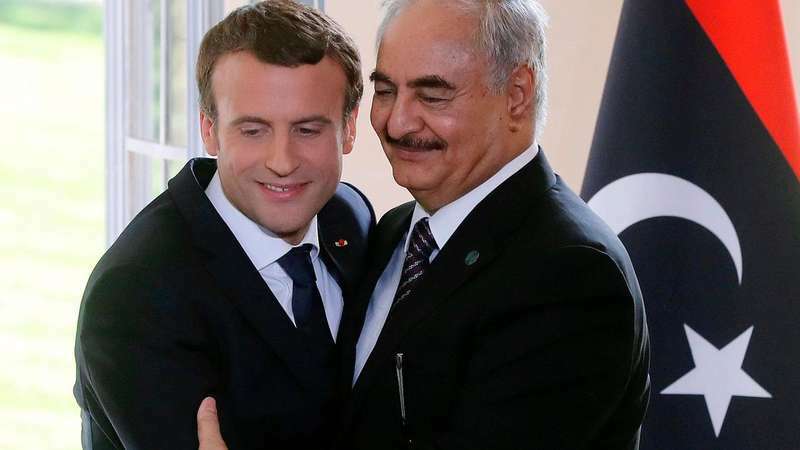 It would have been an attack too hard for President Emmanuel Macron who with this decision proved to support Haftar, despite the fact that in a phone call earlier in the week he had guaranteed full support for President Fayez al-Sarraj, the only one recognized by the United Nations. But also in Italy -according to "La Repubblica"- there could be a potential "double game" because it seems that last Monday the Prime Minister Giuseppe Conte met a delegation linked to General Haftar in Rome, in a summit served to take stock of the situation on what is happening in Libya.